Perilla stem (Sugeng) refers to the stem of Perilla frutescens, which is pungent-spicy, sweet and warm. It enters through the lung, spleen and stomach meridians. The herb promotes qi in the chest and diaphram (relieving distention and pain in the chest, abdomen and costal region) and calms restless fetuses. 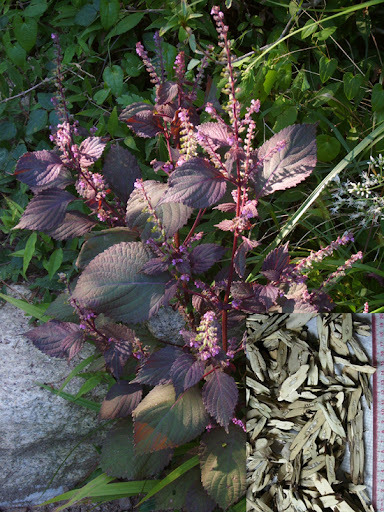 Perilla stem (Sugeng) is usually combined with Cyperus tuber (Xiangfu) and Tangerine peel (Chenpi). Dosage is 5-10 g. The herb should not be boiled for a long time.